“The ideal reflecting pool is smaller, rather than larger…deep enough to suggest mystery and to sustain schools of minnows or other small fish so that these may be observed in the shallows. When I hit this section of E.R. 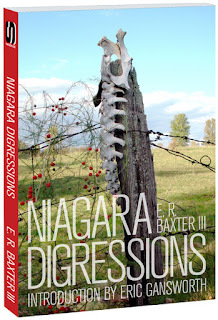 Baxter’s new book, Niagara Digressions, I couldn’t help but think he was talking about more than simply viewing a landscape. The quote above felt more fitting in describing this book, a collection of stories, musings, and history by a writer who is unpretentious and honest. There’s nothing artificial or hyped up about his recollections, and there’s nothing showy in the famous names he drops. 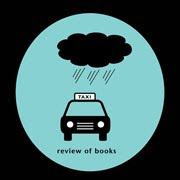 As Eric Gansworth, who wrote the introduction, states, “this book, in its more unorthodox style, is closer to truth than most of those memoirs with which you might already be familiar. It’s an aesthetic representation of the way we really see our lives, if we are at all careful listeners and viewers, witnessing the way we perceive the world.” Baxter is all over the place (in the best way possible) in how he recalls events that were significant in his life, and ultimately, in the history of that region and even in literary culture. And the almost rambling path he takes isn’t annoying, it’s endearing. Better yet, he’s not one of those figures who nostalgically look back and whitewash realities that are easier forgotten. His voice is honest, and just as importantly, unadorned with anything extraneous. Somehow the description feels eerily poetic, filling out the stories he’s already told about Bill to make him both complicated and endearing. Besides colorful characters he’s known, and some especially dishy gossip about Ginsberg and W.S. Burroughs, he also speaks seriously about toxic chemicals in the region, the romantic life of red foxes, Shredded Wheat, dead foxes, the annoying habit of people who stir their coffee too long, and the beauty of flaws in old houses. The play between dead serious and wry wit is compelling, and makes you wish you could sit by a fire and listen to him talk. His reflections, like those found in the pond he described, can only have come through his personal perception. Yes, that’s obvious, but unfortunately, it’s rare. Few people can talk about life without whining or trying to instill some all-important message. 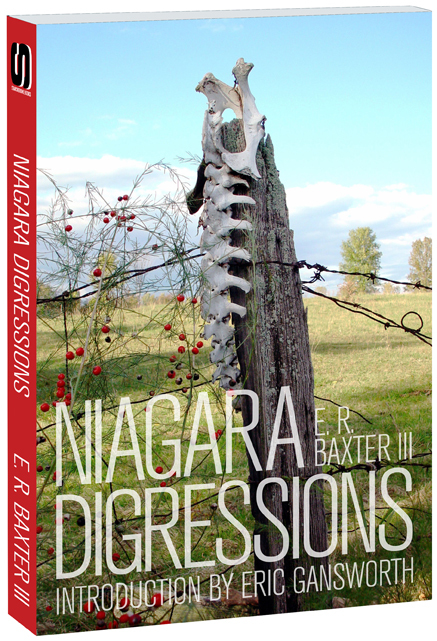 The title is based on his lifelong location on the Niagara River, and many, but not all, of the 'digressions' are from this location. From his website (http://www.erbaxteriii.com/), he explains simply the subjects about which he writes: "it all rises from here, originates, is foundationally from here, the place that increasingly these days becomes the imagined landscape I call home." Special thanks to Ted Pelton for the Advance Review Copy.